After yesterday morning selling vegetables and pickles at the farmers market, we spent the afternoon and evening at the Uppsala Culture Night when all the cultural activies around town have open house and give performances. 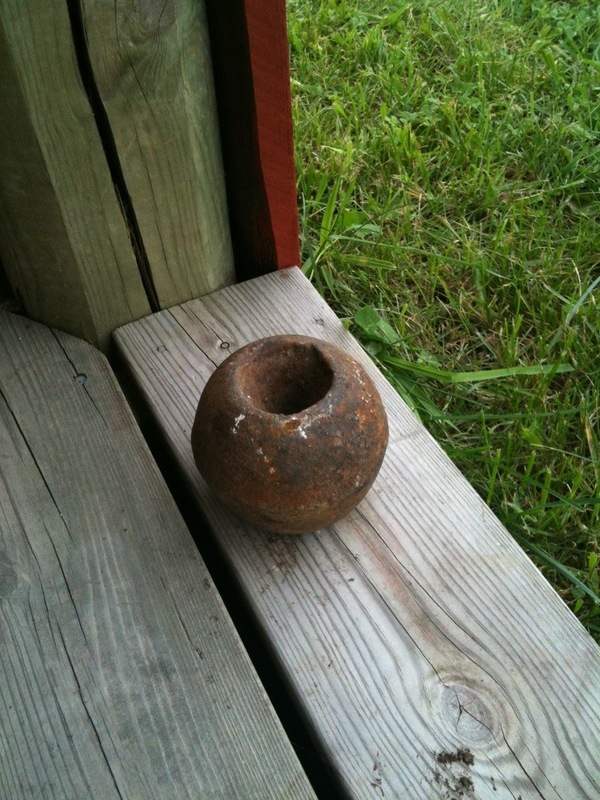 As usual the first and main stop was the Uppsala Junk Yard for some garden art inspiration. Enter by way of the right pipe. The kids love it here – playing in the piles of junk, running the obstacle course, getting dirty and finding treasures. 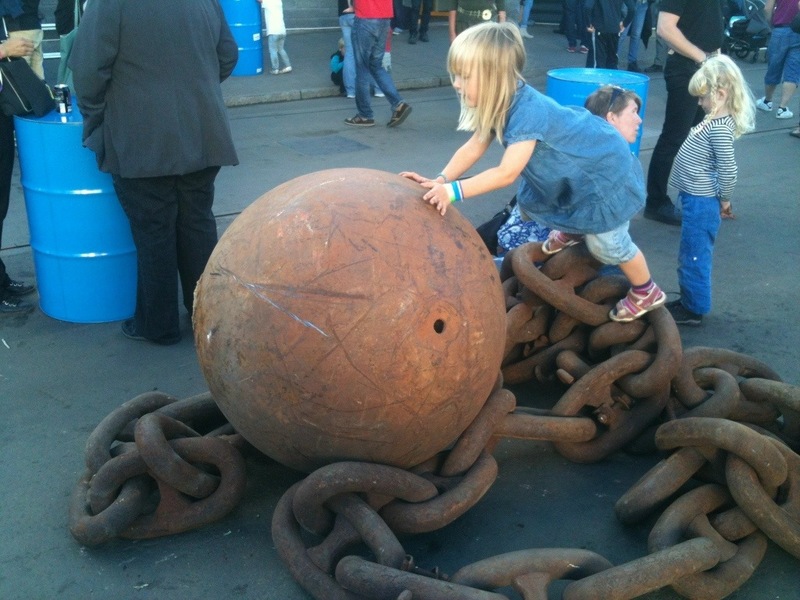 For years I’ve been coveting this iron ball and chain for the garden. 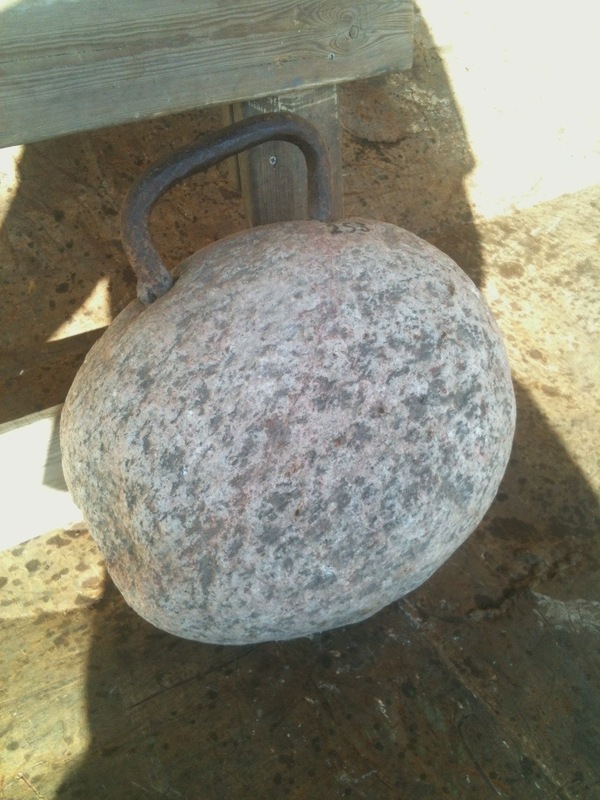 Once upon a time, this granit stone with an iron handel was used to test the young men who sought work on the farm. If they could lift it they were hired. 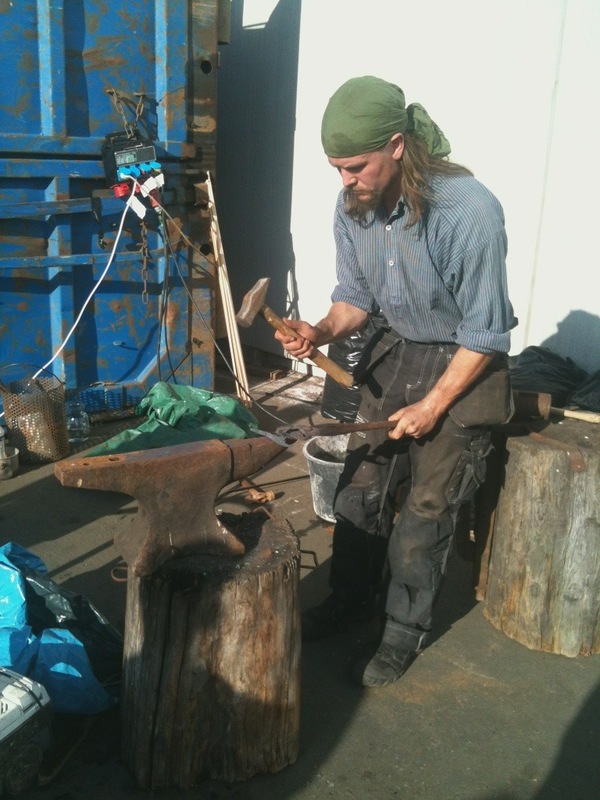 I would like to learn more about the noble art of smithing and be able to smith my own objects. And at the end of the day we enjoyed a great concert by a group called Ransta Garden at Hijazz Pub. Look what came out of the woodwork! We’ve seen the mother several times this spring. 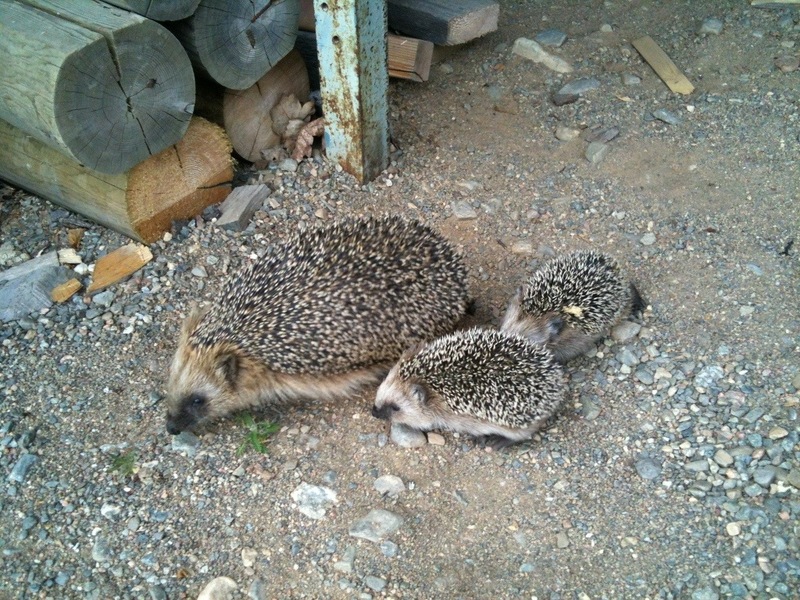 Now she has come out with her babies (as many as 8 have been sighted). And they are not shy. This is another good result for my unsightly piles of reclaimed lumber, other building material, leaves and just plain junk. 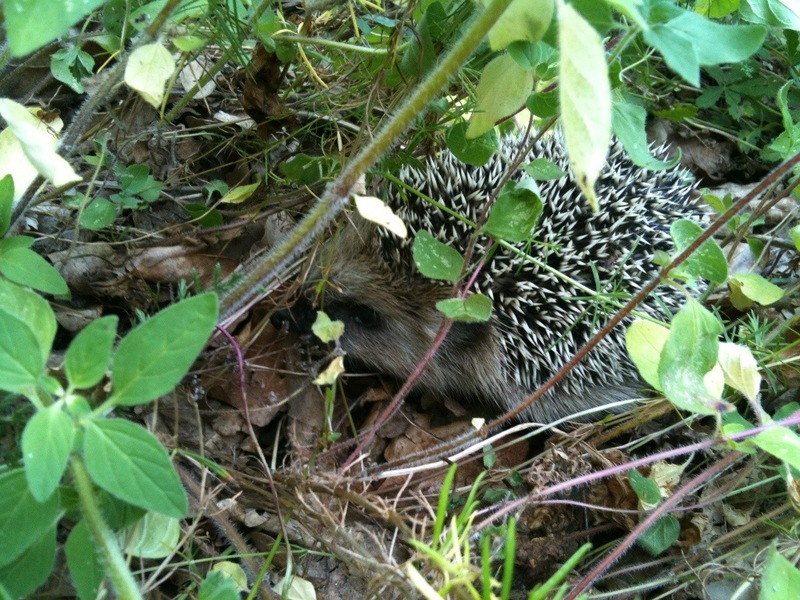 The hedgehogs love to nest under wood piles and such. 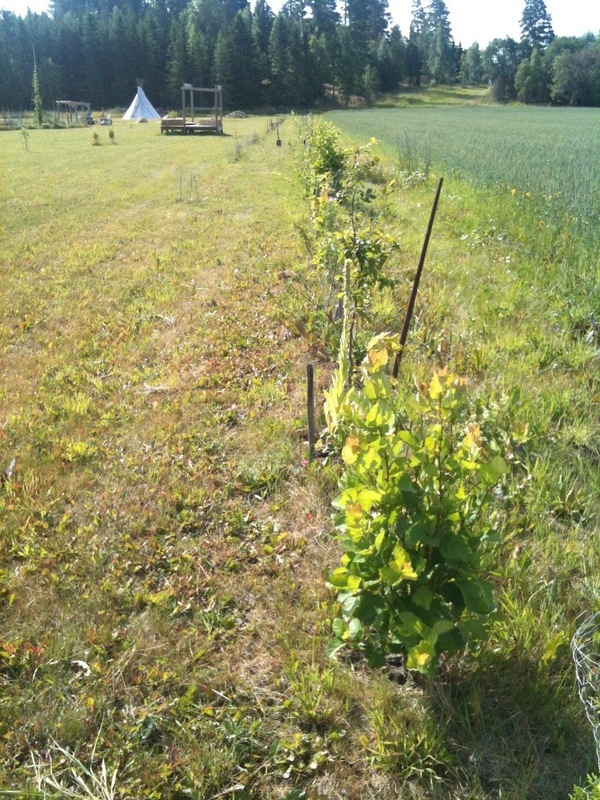 I’m also in the process of growing a long double hedge to to the west as a wind break and wildlife refuge. I hope they like it. It is an eclectic mix of all sorts of bushes, trees and vines that will provide shade, wind protection, flowers, nectar, fruits and nuts. It needs a lot of watering in this dry weather we are having now. I won’t be satisfied till it’s about 4 meters high. 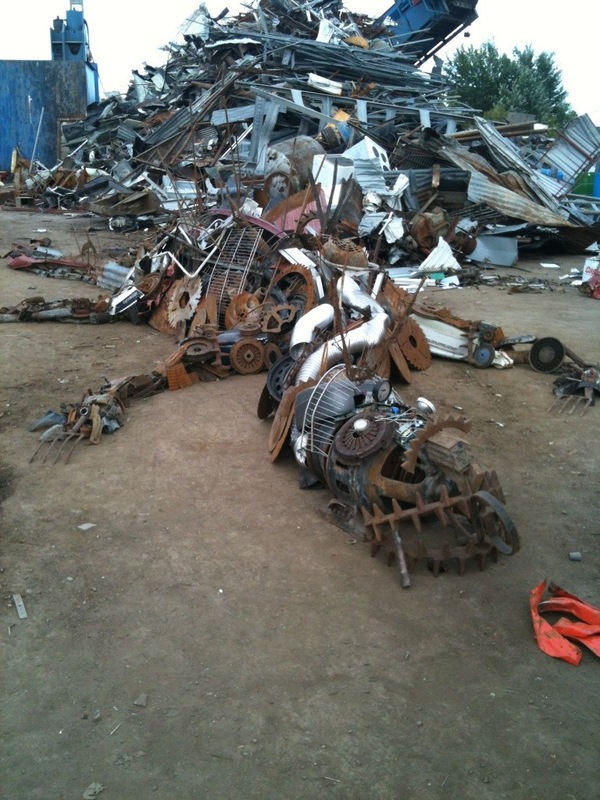 A dragon at the junkyard. 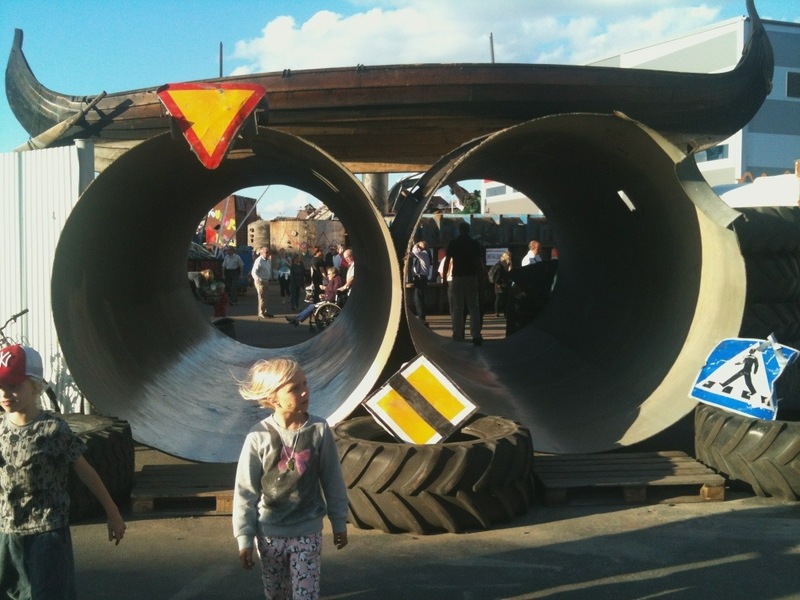 Last saturday was the annual culture evening in Uppsala. Skrotcentralen (junk center) is always the main attraction for me. It has a steady relationship with the local artist community and allows them a very free hand to embellish the junkyard for this event. Lots of punk musik, wrecking crane ballet, steeplechase for kids, container galleries and much, much more fills the bill. My favorite this year was the dragon made of junk metal by a group of artists from the local art school Wik. I wanted it for my garden! But, alas, too expensive and impossible to move. All I got was this ‘who knows what’ for my ball collection.